for more information on workshops. for more information on Emily's individual tuition. mily has a wealth of teaching experience in different educational contexts. She is a principal study Recorder teacher for Trinity College of Music and has worked in for several London music services in both primary and secondary sectors. She has helped many students gain distinctions in grade exams and her folk ensemble at Pimlico School reached the National finals of the New Roots and the Music for Youth Competition. For the last five years, Emily has been developing her early years teaching. She now has a wealth of experience teaching music to nurseries and baby and toddler organisations. 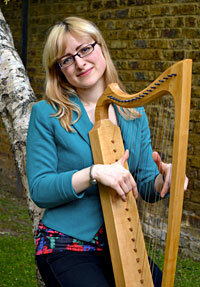 She has led music workshops for both children and adults in many schools, music centres, festivals and summer schools. These have included Dartington Summer School, Aldeburgh Young Musicians, the Centre for Young Musicians, Spitalfields Festival, Globe Theatre Education and three years of Brighton Early Music Festival workshops for local schools.